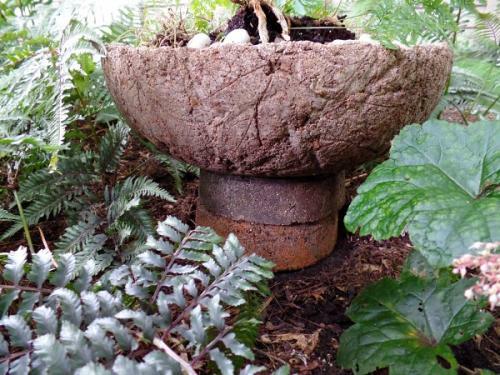 Elevated Hypertufa Pots Look Great! 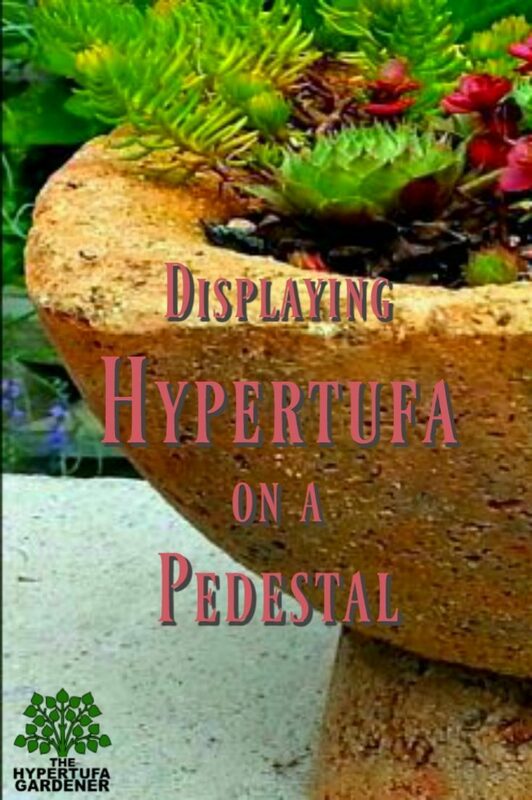 I really like my hypertufa pots and want to give them all due respect in the garden, so why not put it on a pedestal! Literally and figuratively! Let’s do it! This is what I have done. 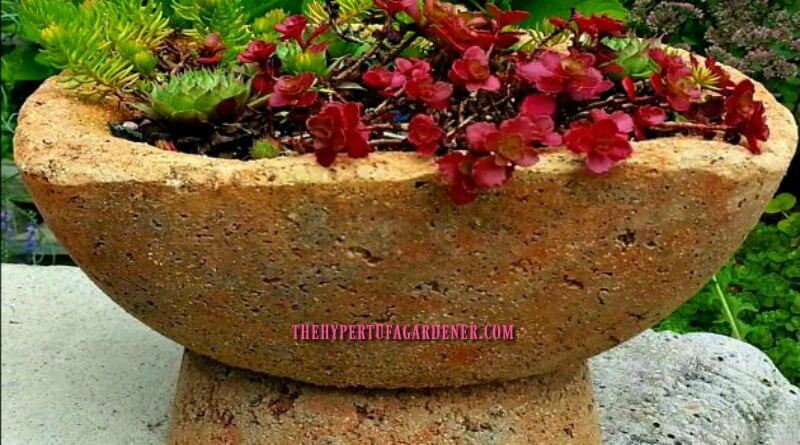 If you want your hypertufa bowl raised on a pedestal, it is so easy to make one! 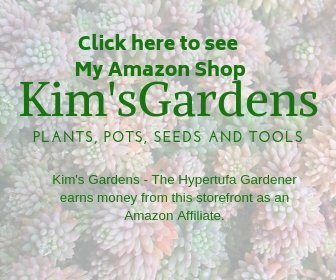 I love the raised look of my hypertufa planters, especially when I set them into a bed of other plants and need to raise them up above the other foliage so that they are more on display. 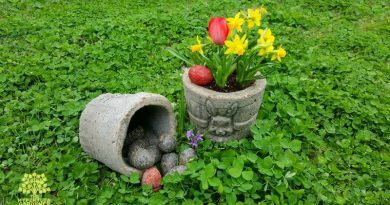 I could make do with the planter on a brick or something, which works out fine in some places. But these pedestals elevate ( such a clever pun!) the look, I think. 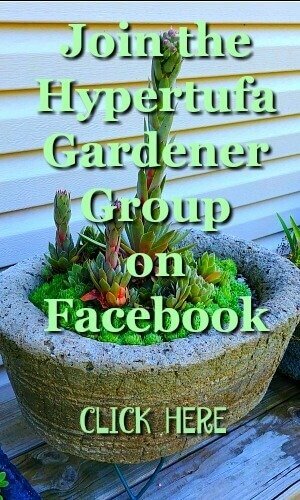 As the bed of plants grows fuller and higher, I can insert a ring made of hypertufa and then as the plants grow higher and larger, I can even add a second “ring” and pull the hypertufa pot up even further. You can use different size rings for this too. Larger on the bottom and smaller toward the top, depending on how high the pedestal becomes. How do I make the Pedestal? 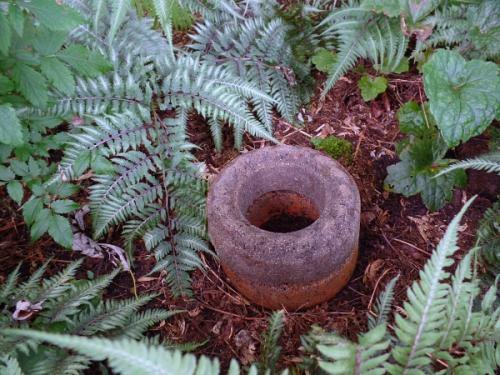 Just use your hypertufa mixture and form it into a mold in the shape of a ring. 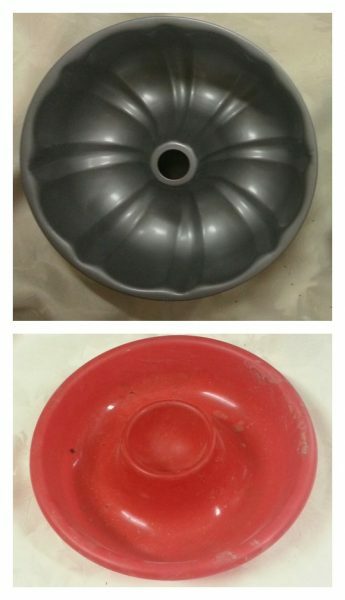 And old bundt cake pan, an angel food cake pan, or for a really large one, an oil-draining pan. These all make a nice ring to support your planter. Small ones or large ones, any size will come in handy at some point. 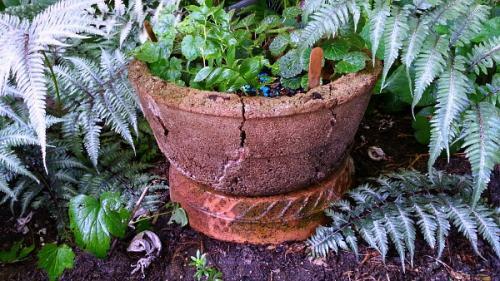 This hypertufa bowl pictured below is the broken planter that I wrote about here. It is doing fine in the shade garden and holding together very well . My kintsugi bowl means a lot to me. 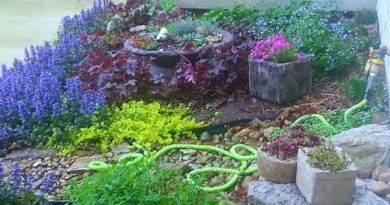 The colors or dyes that you put in the hypertufa mix can be used in this mix also and can be complementary, or the ring can be left cement colored and then just blend and grow moss in the beds. As you can see, I can stack one upon the other to get a more elevated look. This is the underside of the bowl of my Fire Pit Hypertufa Planter. The fire pit bowl is sitting upon a very large one. 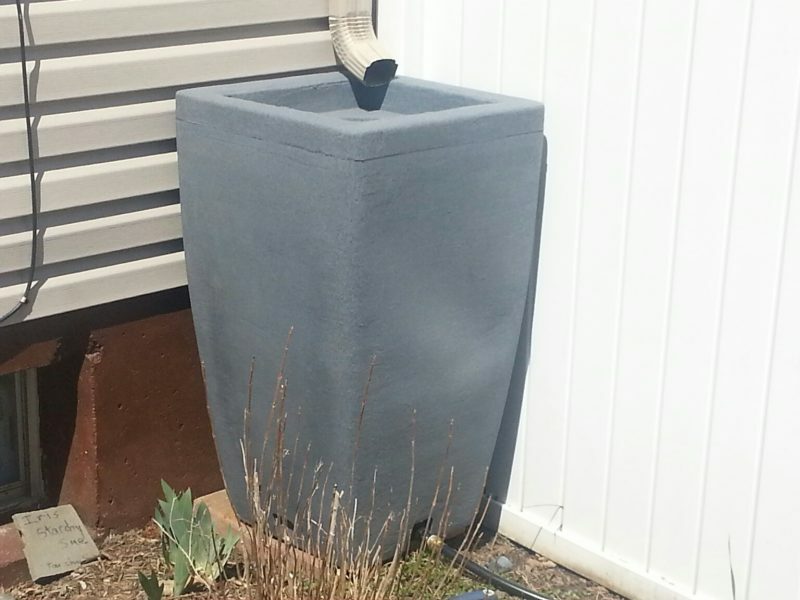 This pedestal used here is the large one made using the mold of the oil pan draining thing from the garage. It was very large and had the center raised area. Perfect mold. Have you ever done this? Isn’t this a nice alternative to bricks? 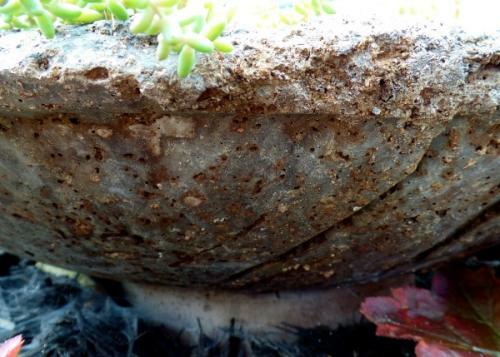 I think the hole in the middle makes sure that you are not blocking any drainage from the hypertufa planter itself. Again, I love to read your comments and be sure to visit the Facebook Page and upload a photo of your creations. ← Time To Think About Tiny Spring Bulbs? 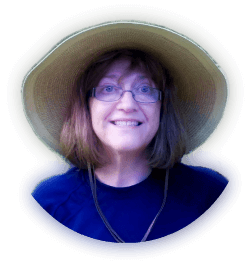 Half-Witted Idea? You Got That Right!